Since this is a new forum, I wanted to put notice here regarding the shakuhachi maker's hanko database. This is an on-going list of hanko photos, names, translations, maker's name and any other pertinent information that exists. I would like to encourage people not only consulting this list if needed, but contributing hankos and/or information that may not appear or may appear erroneously. To contribute, simply send photo and info to me at shaku8(at)windwheel(dot)com. The hanko is a little unclear. If possible could you try another photo that is centered just over the hanko and a little closer? You can send it to me directly by e-mail if you like. so other hanko identify by Kijo as "shingetsu"
Thank you Toots, Shingetsu's hanko is easy to understand and I'll enter it into the DB. The first hanko is difficult though. I'll work on it. Hello, I'm the newest member here and this is my first post. 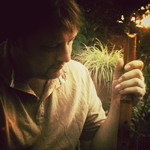 I have only just began my journey with the shakuhachi having only started a week ago! I have my first lesson next week which is really exciting. I have two 1.8 shakuhachis: a plastic 'yuu' and a wooden one. 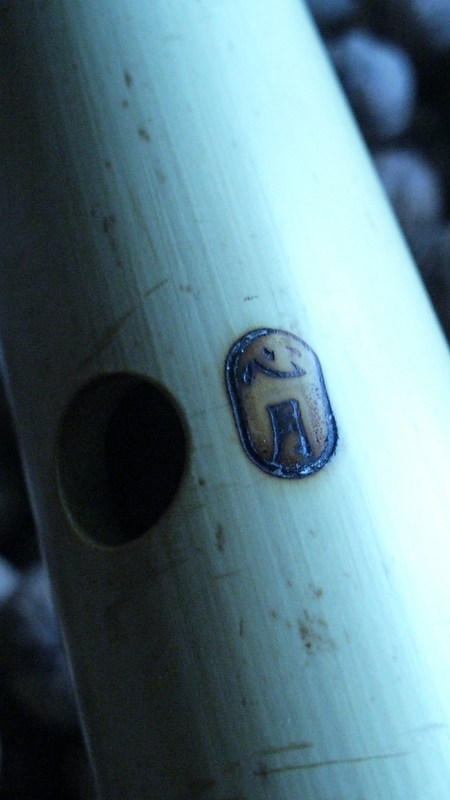 I am saving for a nice bamboo shakuhachi. 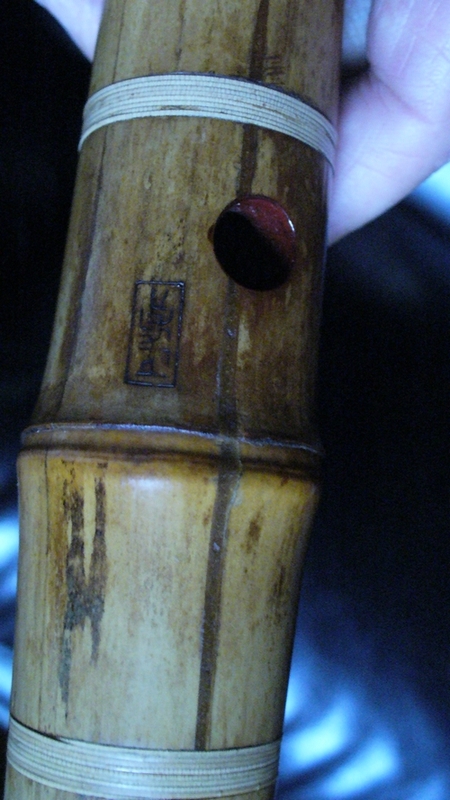 the wooden shakuhachi does have a hanko but I didn't see it in the database. any ideas as to the maker please? 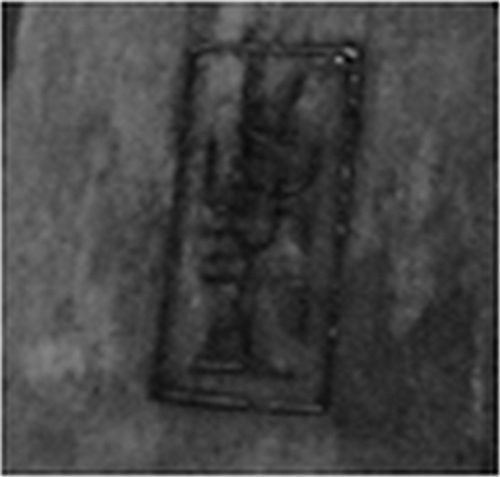 Hi Paul, the hanko reads Gate or Door depending upon whether it's read in Japanese or Chinese. This could be the Mon offered by Mejiro shakuhachi shop in Tokyo. Have fun at your lesson! Hi Perry, thanks for the info. I looked at the Mejiro shop and you're right, it does look similar. The link seems not longer to work .